Severe Weather Warning in Place Across the South Island! You know that winter has finally arrived when the 6 o’clock news devotes the first 20 minutes to the weather. Firstly we had droughts and the poor farmers were wondering when it was gonna rain. Now it’s raining and the poor farmers are wondering when it’s gonna stop! All I can tell ya is that lots of rain and colder temperatures mean snow...and lots of it! Over the last few days all our favourite ski areas have been getting a large dose of the white stuff with both Cardrona and the Remarkables reporting bases of 22cm and a whopping 40cm respectively, and a dump last night of 12cm and 15cm - you can safely say that winter is most certainly on! This week's winner however is the beautiful Mt Dobson which recorded a massive Colorado style snow fall of 85cm overnight (that's almost 3 feet in old money!) If you're not getting your boots on right now then you are reading the wrong page! I know a number of you have been waiting to see what the snow is going to do before you book this year...well all I can say is that it looks like it is gonna be a great year for snow based on all sorts of reliable snow forecasts such as the Moon Man, and my eternal optimism. The tours are starting to fill up nicely but we still have some dates available for both our Wanaka and Craigieburn Adventures. As regular clients and readers of the blogs will know, one of the new additions we have this year are our Customised Tours. Either give us a call or drop us a line and tell us what you want from your snow holiday this year. 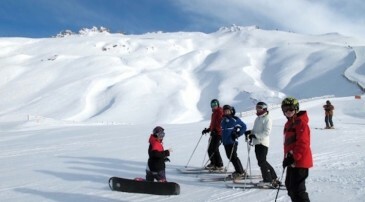 We can organise anything from heli-skiing to quad-biking as an extra to our tours. In addition, if you fancy five star accommodation in one of the many luxury lodges in Wanaka while still benefiting from our awesome guiding and transport services we can sort you out with that as well. If you toured with us last year then you really ought to get in touch if you haven't already to find out about our special loyalty offer! The team is currently up in the North Island making final preparations to our place in Ohakune before the season starts at Ruapehu.Over the summer we have installed a new heat pump, a heat transfer kit, and a new bathroom upstairs which hopefully by the time it is finished won't leak through the floor every time you have a shower. So big up to Claire's partner Mark who has spent the last 3 weeks fixing all the stuff that Ange broke! Not only is the man an excellent snowboard instructor but he can fix stuff that doesn’t even need fixing! Once the house has been signed off (by Ange) we will be heading back down to Wanaka. Hopefully this year we can make it without the break-ins, speeding tickets, and all the other fun stuff that made last years migration so memorable. 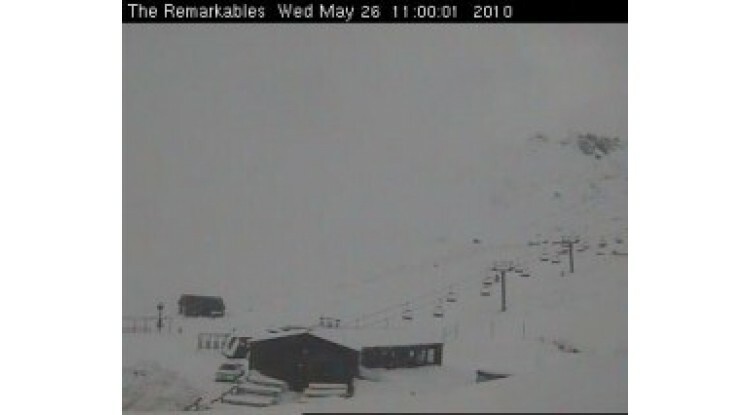 Big thanks to The Remarkables for the photo/web cam images and Mt Dobson for the web-cam image.